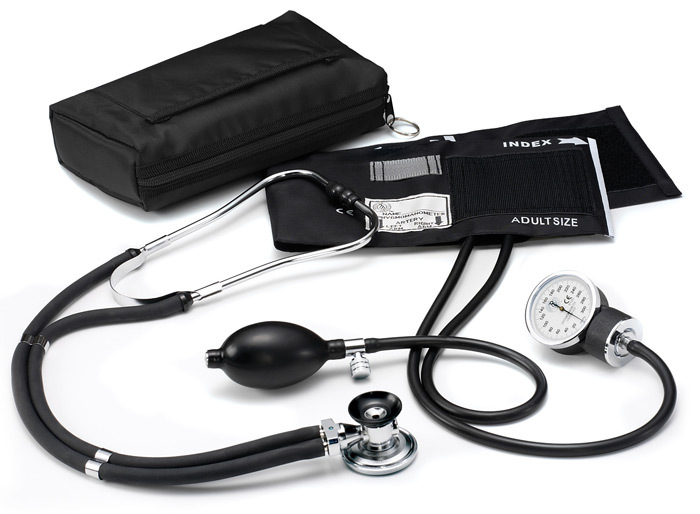 Economical aneroid sphygmomanometer / Sprague-Rappaport combination kit. Black only. Features: latex free, nylon cuff, index and range markings, artery indicator mark, gauge holder, owner ID label, standard inflation bulb and air release valve, extra large 6" x 9" color-matched nylon carry case, full accessory pouch for Sprague-Rappaport. One year warranty.